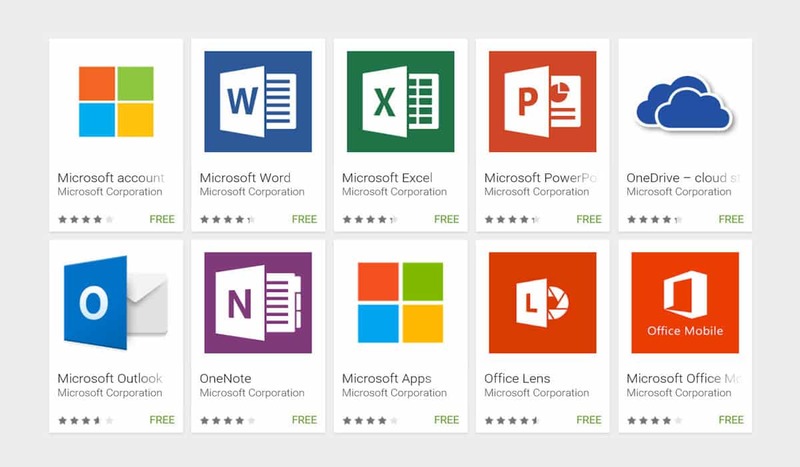 Microsoft is known for making highly successful productivity apps. The best thing is that these apps are not limited to its own operating system Windows. Microsoft has produced various apps to work on Android devices as well and these are the best ones from them. Microsoft word has been one of the earliest software introduced in Windows by Microsoft, It is now available on Android platform. The Microsoft Word app lets you create, modify, read, and share files with others very efficiently. It also lets you view and edit doc files attached to emails. Word has also introduced a PDF reader recently which let you read and modify PDFs within Word. Xbox app on Android is a real-time dashboard for Xbox live accounts, it is more likely a companion for Xbox video game console supporting all latest versions of Xbox. Some of its features include achievements earned, games presently played by your friends, Recommending games based on your recently played, a partly instant messaging service was also added recently which makes it a must-have app for Xbox players. Currently the best alternative to Google assistant, Cortana is capable of doing almost every action needed by a user to be done by an assistant. It can control your Android Device through your voice only. It includes various features and was at par with google assistant before the introduction of Google Duplex. Our favorite spreadsheet software is now available on Android it is the lite version of the renowned Microsoft Excel software on Windows, although being lite its features are not comparable with PC version but still it is good enough to do most of your tasks really well. As now we have Excel on our device we would need a keyboard which could take out the potential of this app at its best, The stock keyboard provided might not be that good for using Microsoft Excel app hence this keyboard makes it quite easy to work on excel projects. The idea behind this incredible app was to turn your mobile devices into an efficient and really fast scanner. This app can potentially enhance various documents and is capable of converting Images to PDF, Word and PPT files. This app lets you control your PC remotely via your Android Device. It supports various functionalities including excellent performance over low-speed dial up connections, keyboard hooking, smart card authentication, sound drive, port and network printer redirection and much more. Like Google’s Drive, One Drive is the free cloud storage service provided by Microsoft which lets you store data on cloud servers accessible to you remotely. It is a simple To-Do list app which makes it quite easy to plan out our day. To-do is quite efficient to use and comes with various functionalities, it will help you increase productivity and help you in decreasing your stress. It brings together the combination of intelligent technology and beautiful design to help you create a perfect to-do list for your day.